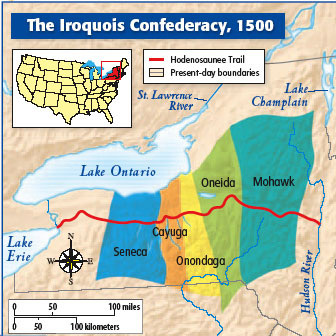 Where did the Iroquois live? 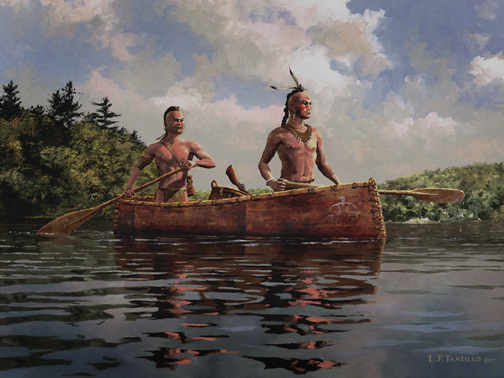 This site has a lot of great information on the Iroquois including a link to online games/activities. Haudenosaunee (Iroquois) Indian Fact Sheet - written for young people learning about the Iroquois Confederacy for school or home-schooling reports. We encourage students and teachers to visit our main Iroquois pages for in-depth information about the Haudenosaunee tribes, but here are our answers to the questions we are most often asked by children, with Iroquois images and links we found suitable for all ages. Photographs are the property of the sources we have credited. How did the Iroquois live? What is the Iroquois League of Nations?